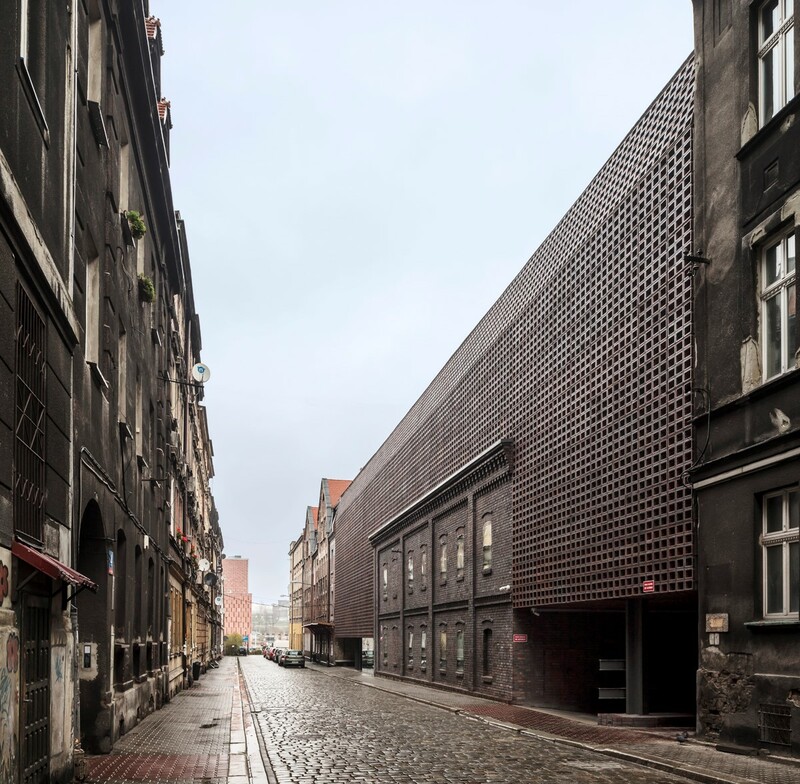 The new Silesia University&apos;s Radio and TV department is located on a vacant plot, inserted in a consolidated area of Katowice. 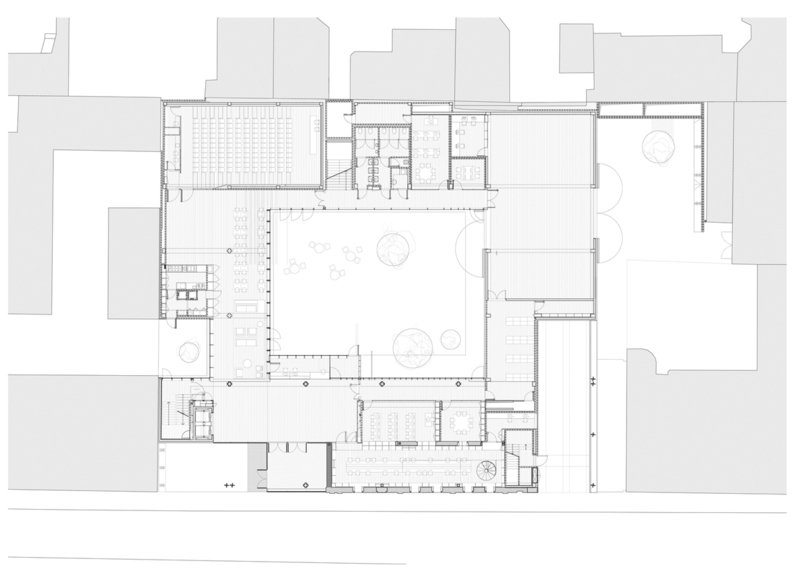 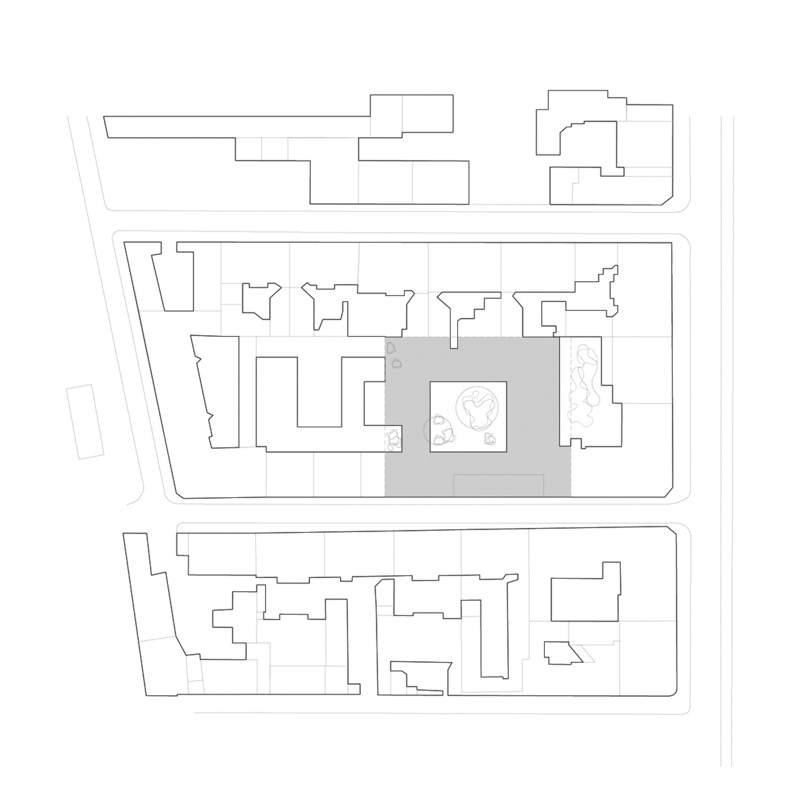 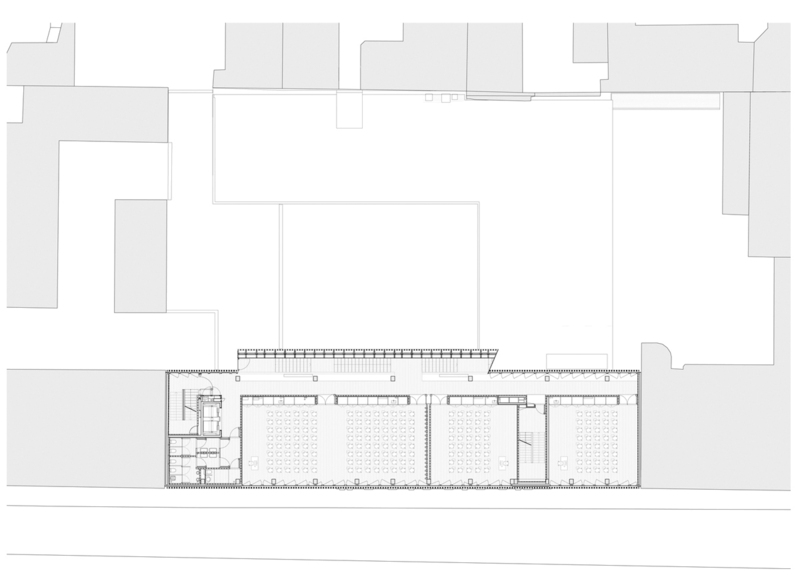 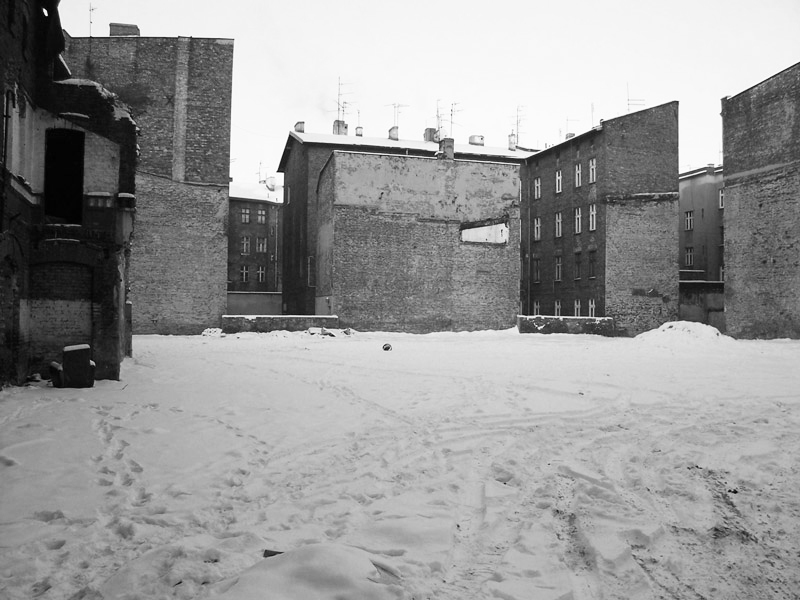 The plot, mainly empty, contains an abandoned building which the client initially planned to demolish. 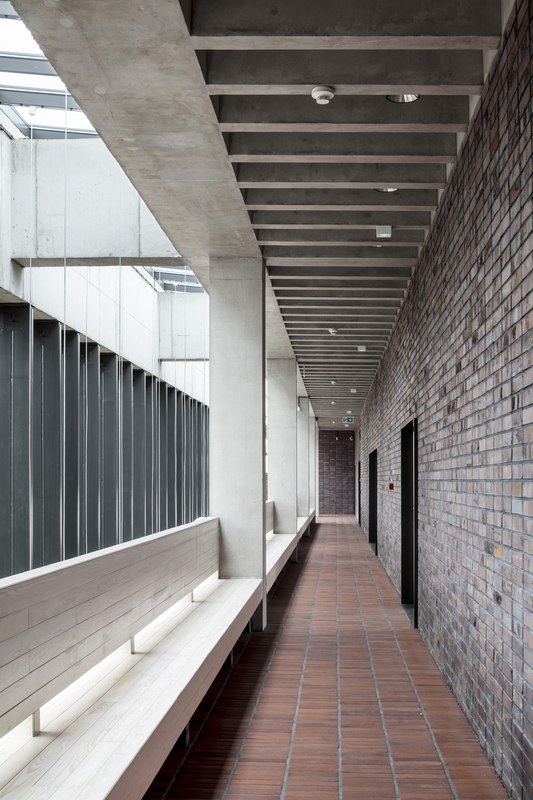 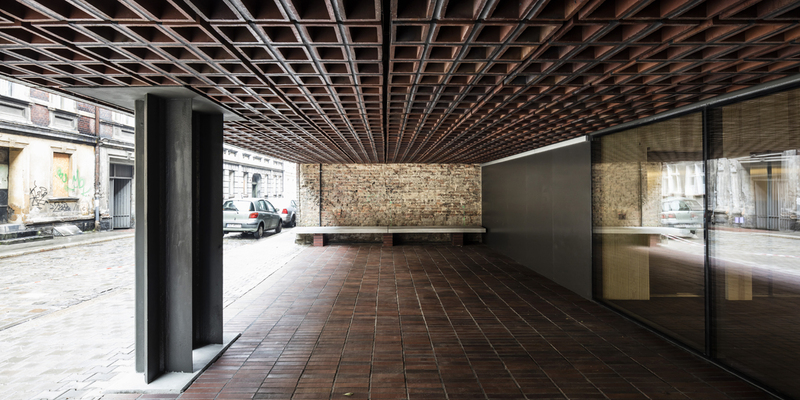 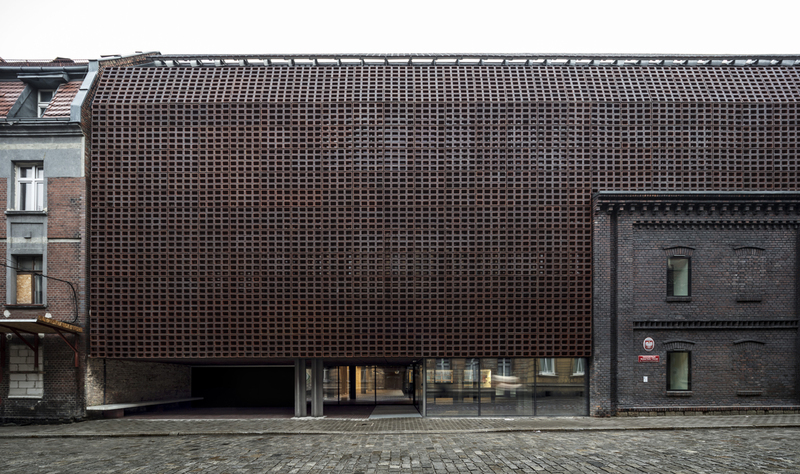 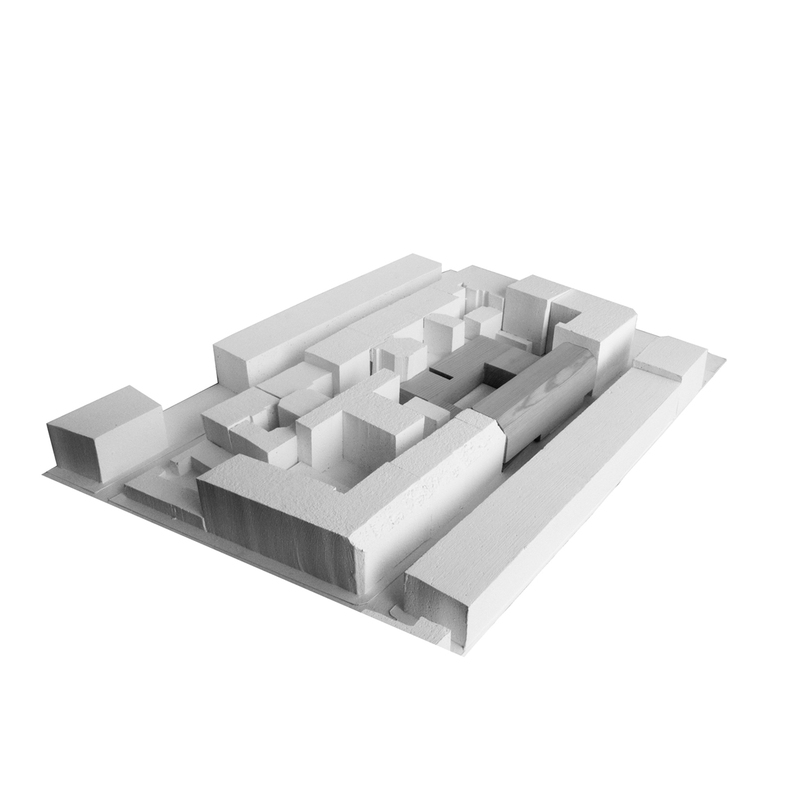 The project preserves this existing building, and adds an extension to it while protecting the character of the old; it also includes a lower height building occupying the interior block area which confers to the central courtyard the intervention&apos;s prominence. 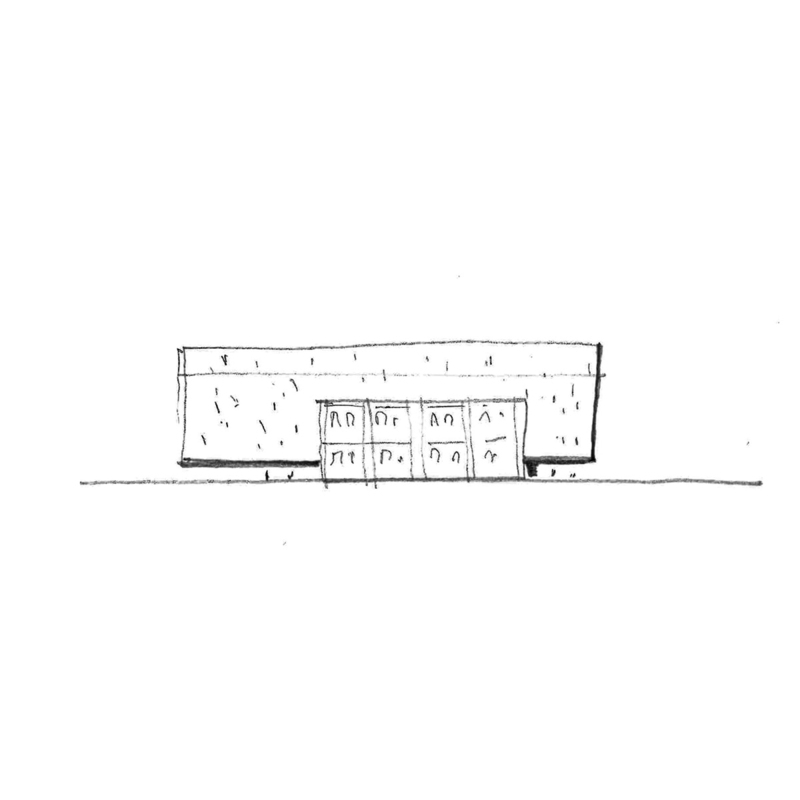 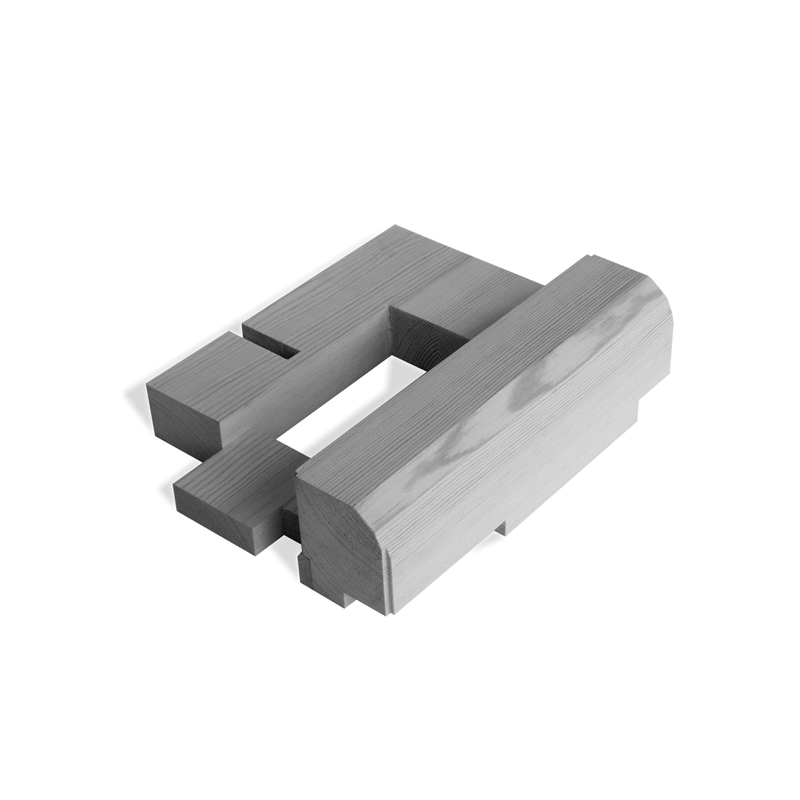 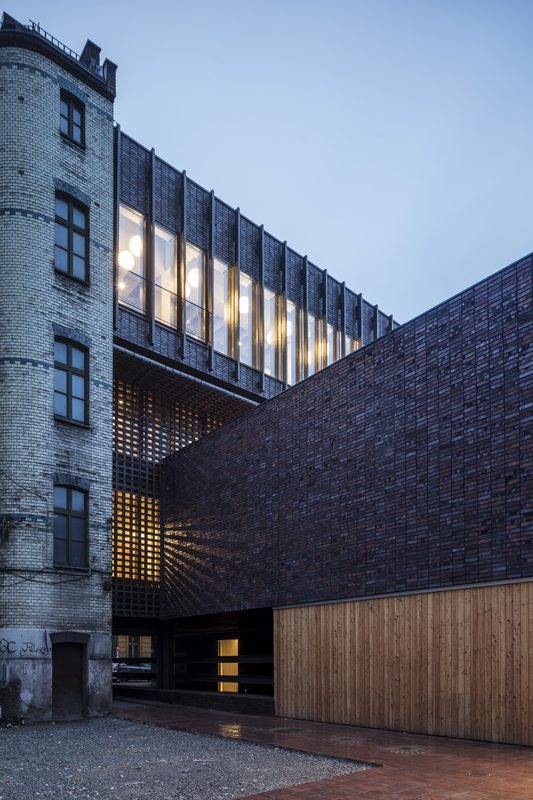 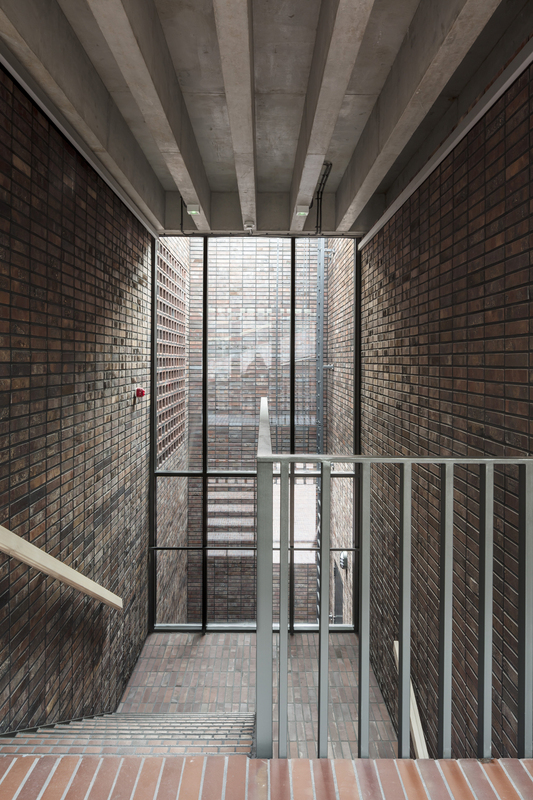 Our design aims to be sensitive with the existing building aesthetics and takes advantage of its materiality and visual values by building on top of it an abstract volume made out of a brick latticework, which follows the neighbour&apos;s section.